Crafting an image of oneself for the public world is a fact of daily life. With Instagram, Facebook, Squarespace and Snapchat, we can engineer the ideal identity, often a heightened version of our everyday selves. Chicago artist Lee Godie worked primarily in drawing and painting from the 1960s to the eighties, selling her work on the streets of Chicago. 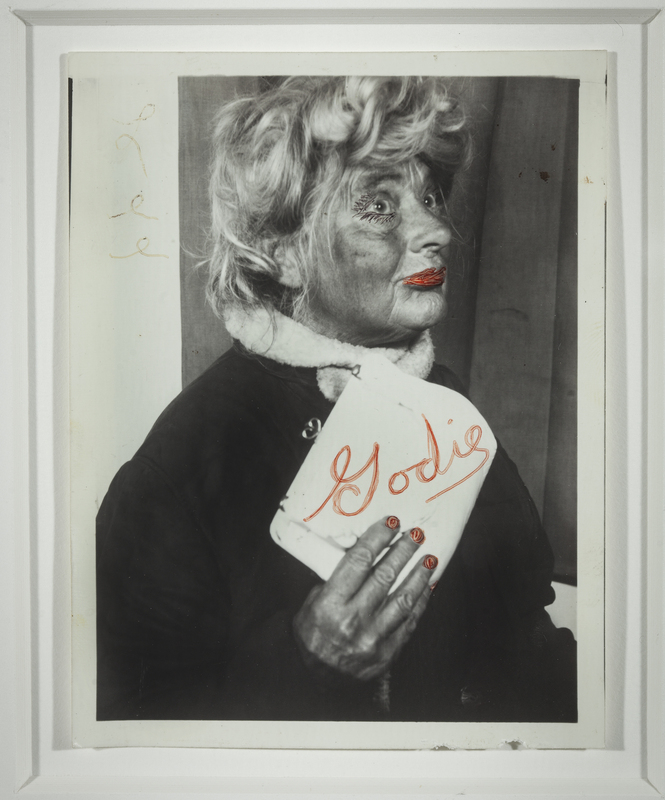 However, photography, created in bus-station photo booths, functioned as Godie’s site of self-formation, where the person, Lee Godie, fused herself with Lee Godie the artist. 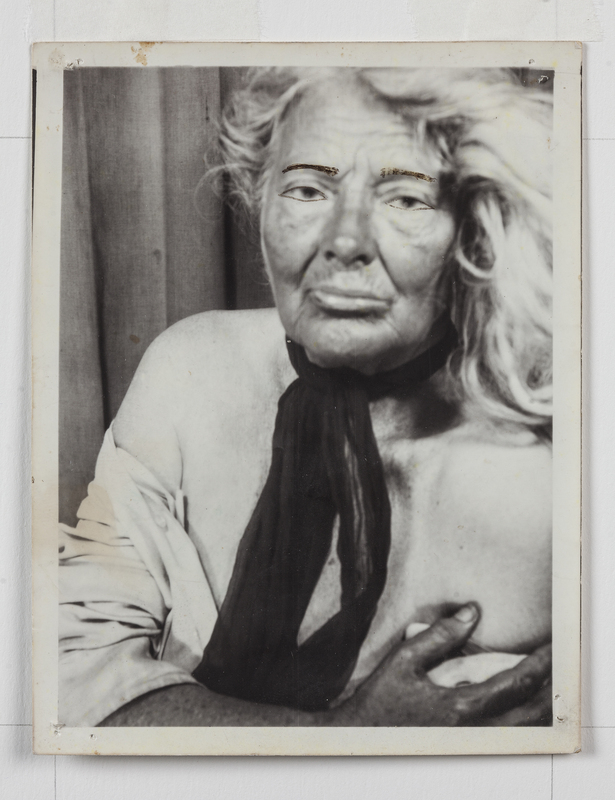 In the exhibition, “Lee Godie: Self-Portraits,” curated by Karen Patterson at the John Michael Kohler Arts Center in Sheboygan, Wisconsin, vulnerability, introspection and self-presentation are the thread lines that bind together a considered and poignantly political investigation into Godie’s portrait photography. In the catalogue essay, Patterson unpacks the fallacies of the historic term “outsider artist” and effortlessly refutes the dominant pre-existing narrative of Godie as such. Performing the prerequisite scholarly legwork needed to open new channels of exploration, Patterson wastes no time in the exhibition space. She enacts her art-historical voice, creating an exhibition not weighed down by biographical trappings or caught in the useless work of placing an “outsider” on the inside. Instead, she curated a study of self-identity and public presentation with astute considerations of Godie’s privacy and vulnerability in an urban context, her control of her own art market and her manipulation of the aesthetics of wealth and success. Through February 8, 2016 at the John Michael Kohler Arts Center, Sheboygan, Wisconsin.